Home Blog What are the different types of roof systems? The phrase ‘roof system’ can mean different things to different people. It can be as broad as choosing between a pitched roof or a flat roof construction for a building, or as narrow as specifying particular combinations of flat roof insulation and flat roof waterproofing. Common to all approaches and definitions, taking a ‘system approach’ simply means thinking about how components work together to produce the best overall result, rather than selecting each component separately based on individual characteristics. This blog post concentrates on flat roof systems, which have been instrumental at improving the performance and longevity of flat roof constructions. 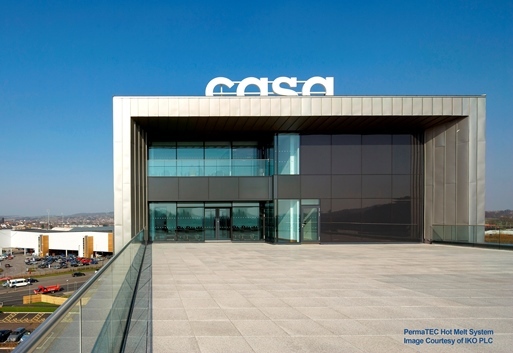 How does the code of practice define flat roofing systems? The roof of a building can be constructed one of two ways: either as a pitched roof or a flat roof. Generally, a flat roof is defined as having a slope (pitch) of up to 10 degrees; beyond that it is a pitched roof. The code of practice for “flat roofs with continuously supported flexible waterproof coverings” is British Standard BS 6229:2018. It gives guidance and recommendations for timber, concrete or metal deck flat roofs with a waterproofing layer such as a reinforced bitumen membrane, mastic asphalt, a single ply membrane, or a hot or cold liquid applied membrane such as hot melt. 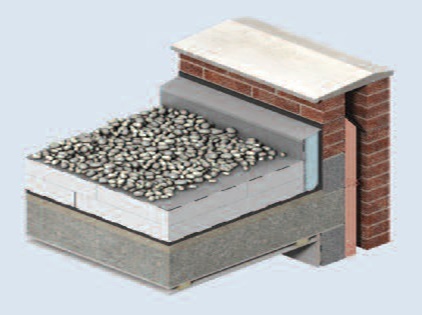 BS 6229 illustrates four main types of ‘flat roof system’, including typical construction details: a warm roof, an inverted roof, a cold roof, and an uninsulated roof. The name of each system is based on the placement of the insulation relative to the structural deck. Uninsulated roofs, as their name suggests, are suitable for situations in which the building is not heated and no requirement for thermal performance is imposed. Cold roofs rely on ventilation between the insulation layer and the waterproofed deck to prevent condensation occurring. 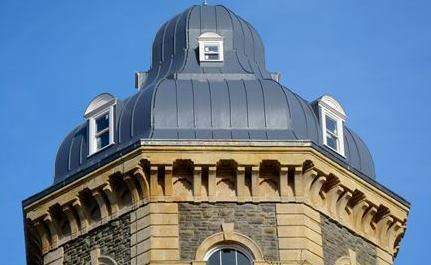 In practice, that ventilation is difficult to achieve and cold roofs should be considered as a last resort for small domestic projects where constraints prevent construction of a warm roof. A warm roof has the insulation installed on top of the structural deck, keeping it at the building’s internal temperature. The waterproof covering is then installed over the insulation. This places a certain amount of strain on the waterproofing, since it is exposed to daily and seasonal temperature cycles, and UV radiation. It can also be damaged by post-installation construction works and, where access is required, foot traffic once the building is in use. 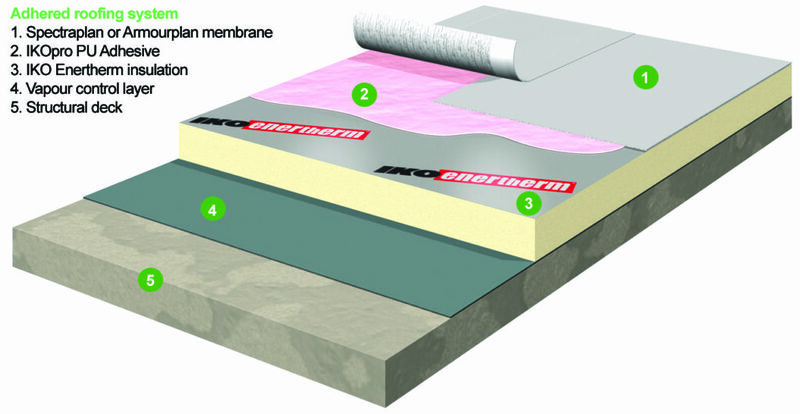 To protect the waterproofing, one option is to ‘invert’ the installation sequence of insulation then waterproofing. An inverted (or ‘upside down’) roof is still a type of warm roof, because the insulation is still above the deck. However, the deck is waterproofed first, followed by installation of the insulation. A UV resistant covering, such as gravel or paving slabs, acts as the ballast for the insulation and gives a better finish for roofs requiring access. What type of flat roof systems do manufacturers offer? Warm and inverted flat roofs lend themselves to the flat roof solutions that construction product manufacturers are able to offer. Combining compatible insulation and waterproofing, and offering appropriate fixing solutions to secure them, allows manufacturers to offer fully tested systems that perform reliably and consistently. That performance gives peace of mind for specifiers, contractors, and building owners and occupiers. 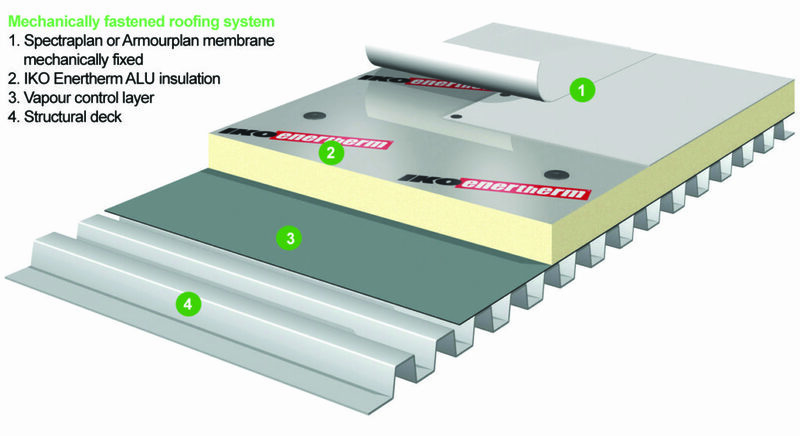 Factors affecting the choice of a flat roof system include: the required thermal performance, the deck type and the compatibility of any vapour control layers, the size of the project (and therefore the speed and economy of one solution over another), the use and occupancy of the building (and therefore whether certain solutions are less of a risk than others), the desired visual appearance, warranties offered by the manufacturer, and future access requirements where other more appropriate systems could be implemented such as a more robust system like felt or hot melt. As such, there is no single solution suitable for each and every project. Systems may be offered based on the method of attachment, which can be summarised as either mechanically fixed (usually with thermally broken tube fixings) or adhered (using compatible adhesives). Inverted flat roofs are loose laid and ballasted. Alternatively, systems are designed around the waterproofing. For warm roofs, traditional bitumen-based solutions such as torch-on felt or mastic asphalt provide particularly robust finishes. Modern polymeric solutions, like single ply membranes, require no less skill to install, but have the added advantage of no hot works and a range of available colours. For inverted warm roofs, a hot melt roofing system provides a seamless waterproofing solution that can easily adapt to upstands, protrusions and other details. 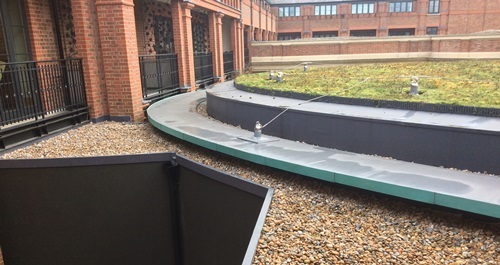 It bonds completely with the roof deck, so if a small area is damaged any water ingress is confined purely to that area – it cannot track underneath the waterproofing layer. Other liquid roofing types offer similar benefits. IKO offer hot melt, cold applied liquid, bituminous membrane, and mastic asphalt waterproofing solutions, as well as polymeric single ply roofing systems. We offer a range of tools and resources for specifiers, contractors, engineers and merchants to help with roofing system choice. You can also request a call back at any time to discuss your project with one of our specialists.